Year 2015 has been a fun, crazy and active year at Cross Keys, Mini Minors and XUK Day Camp!! We have welcomed returning faces to our February, Easter, summer and October camps and had the pleasure to meet new faces! At the end of every year, we reflect upon our camps and ask parents to fill in a questionnaire to provide feedback about their experience. This is imperative as we are always looking to improve our camps and provide children with the best services and high quality activities. We are very pleased and proud of the lovely comments and feedback we have received for our day camps! Thank you to all of those that completed the questionnaire! It is important for us to provide you with an easy and smooth drop off and collection every day at XUK! XUK famous Lionel the Lion will always be at XUK during drop off and collection times to welcome your children and say good bye at the end of the day! One parent even commented that “The welcome was fantastic”! We provide varied activities at XUK day camps every day. 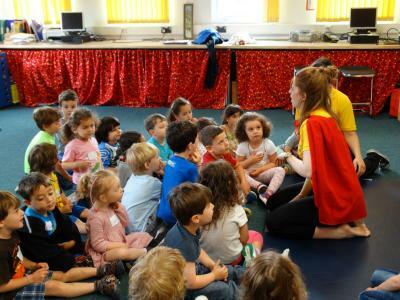 In the morning your child could be getting creative with arts and craft, in the afternoon they may be immersed in a competitive game of football and at the end of the day they may be in the drama hall watching the XUK famous, Mr Tickle the Clown. We asked parents to rate the quality of activities…96% of parents rated the quality of activities as good/excellent. XUK staff are caring, enthusiastic and experienced – they are the making to XUK’s friendly and safe environment! 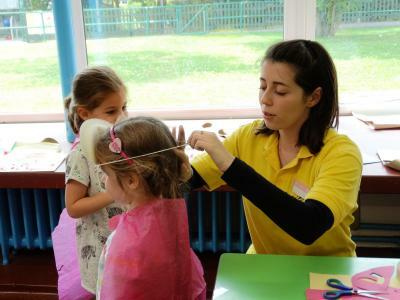 Our staff will ensure your child settles into the day happily and their needs are met throughout the day whilst providing high quality activities! We asked parents to rate the quality of the staff… 96% of parents rated the quality of staff as good/excellent. 98% of parents stated that the staff were aware and supportive of their child’s individual needs. After a normal day at XUK day camps we provide the option for children to stay “late”. Your child could be practicing ball skills, playing party games, or even getting creative in the arts and crafts room. What is the best thing about XUK Day Camps? The activities. One parent stated she loved the activities (particularly fencing and cricket) as her children wouldn't usually get to do them otherwise! Would you recommend XUK Day Camps to a friend? We are extremely happy to say that 99% of our parents would recommend XUK to a friend!! Thank you again to everyone for their lovely comments and feedback. We can’t wait to see you at our next camp in Easter 2016! Monty had the BEST time as X Keys. 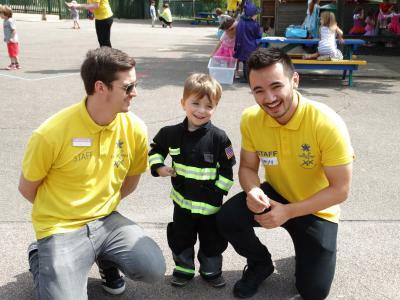 It was his first time at any kind of camp and he was really nervous about going but in his words he said it was 'fantastic' and he asked me if he could go back on the Friday (as I hadn't booked him in for more than 2 days) and said he definitely wants to go back! I just wanted to also let you know that my son was really nervous about camp and after the first day declared it the best day ever. He didn't want to leave to go on holiday! My kids had a brilliant time and the organisation was excellent, and I was so impressed with the operation. A massive thank you for the fantastic four weeks Jonah has had at camp. He has loved it. All your themes have been brilliant and your days are so well planned and thought out. The team of staff are all warm and friendly and you really made us as parents feel that Jonah was safe and in a happy environment.